Languages define people and their culture. In a globalising world, a language dies every 2 weeks and 7000 languages are expected to go extinct by the end of this century. We all know what the most spoken languages in the world are. But what about the languages that aren’t popular at all? 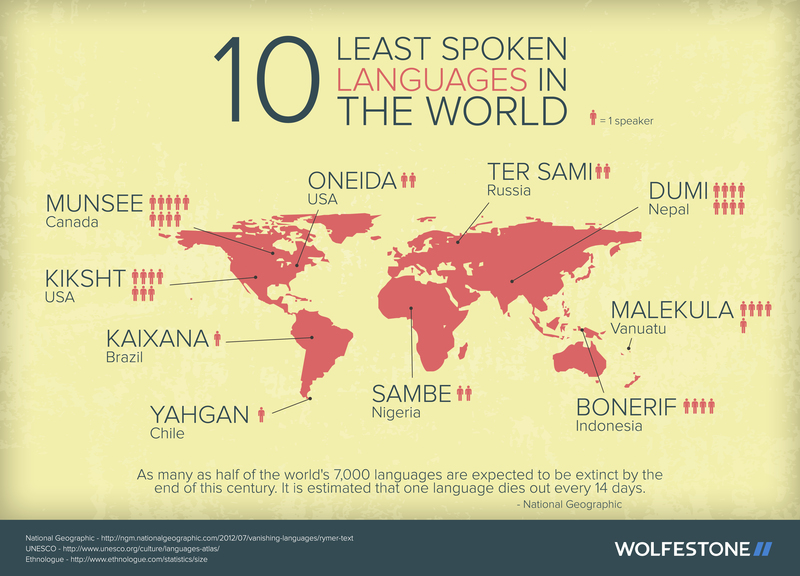 This infographic explores some of the least spoken languages in the world. Do you know an interesting fact that you’d like to share? Just comment below.